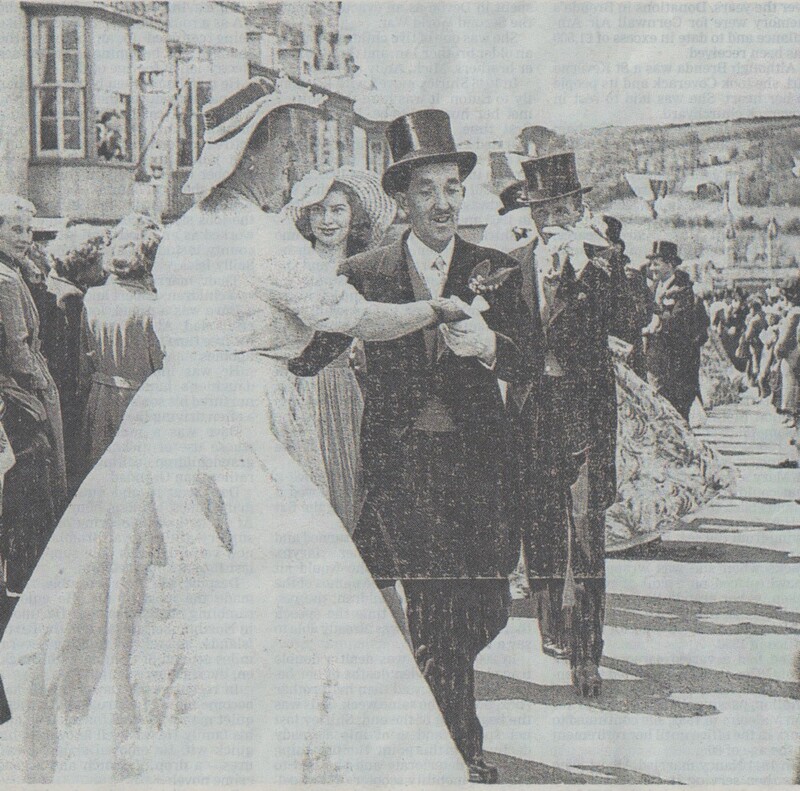 “The photo was taken in May 1954 and Dad (Donald Thomas) was dancing with Mildred Bassett (the family owned the tobacconist shop in Wendron Street). The man behind them is one of the Pascoe’s from the butcher shop”. “Apart from Donald Thomas and partner the other lady is Helen James, partner Keith Pascoe. Helen’s father, John James had furniture shop where J C Williams is now”.